If you’re like me then you might have already looked at a show like Tiny House Nation and thought that there’s no way in **** that this fad can possibly last. Well, the truth is that it can and it can’t. That might sound kind of vague and as though I might be hedging a bet, but there are very real ways why it’s quite true. The trend of tiny houses is something that is seen as worthwhile since to those that want to downsize it’s actually not a bad idea, and it’s also a good idea for those that want to spend more time outdoors and experience as little time possible indoors. 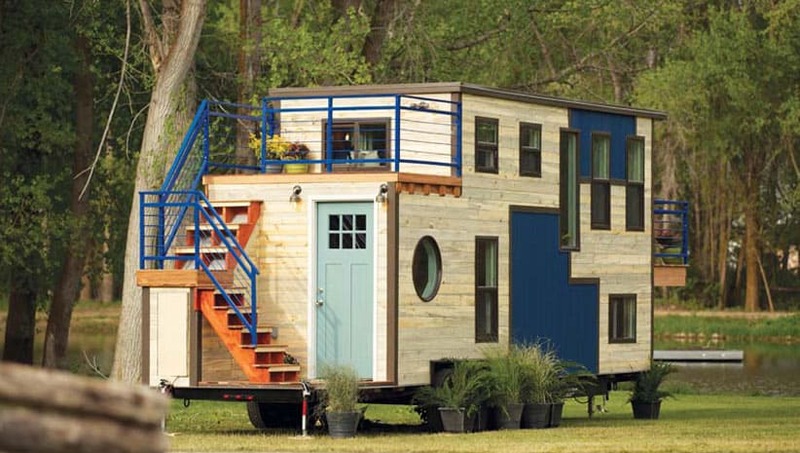 With tiny homes as you might have seen on the show this is probably a good idea. It’s exceedingly easy to see just how the idea wouldn’t last, as if you’ve ever spent enough time with another person in a single room, even if you happen to like them, the chances are that you’ll want your own space after a while. With tiny houses it’s almost like being in that single room with the same person for an extended period of time. And think about it this way, if the weather turns and going outside isn’t an option there’s really nowhere else to go. In a traditional house there are typically more than a couple of different rooms where people can go to gain a bit of distance from one another for a few minutes. Bathrooms are separate rooms, bedrooms exist with walls and doors that allow a modicum of privacy. In tiny homes there’s not a lot of expectation of privacy.